Lush rolling waves inspired this multi-strand ring. 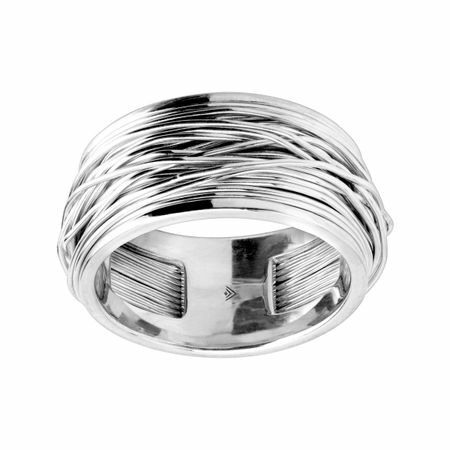 Crafted in sleek sterling silver, multiple strands overlap and crisscross for a textured look. Ring face measures 3/8 inches in width. Piece comes with a “.925” sterling silver stamp as a symbol of guaranteed product quality.